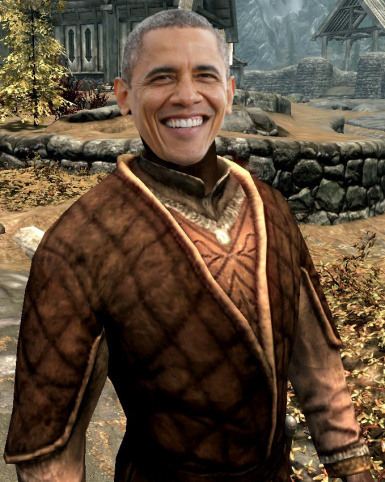 Change most of Nazeem's dialogue with sound clips of former President Obama. Fairly simple to do just some edited .fuz files. Will probably conflict with any mod that replaces Nazeems dialogue. If any characters with the MaleCondescending voice share voice lines with him they too will have these lines of dialogue replaced. Some of the conversions aren't perfect but it works.